The constant loads and continuous functioning of the spindle in a CNC machine leads to a generation of a lot of heat. For proper functioning and durability of the spindle, it is very essential to remove this excess heat. 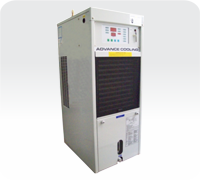 Advance Cooling chillers keep the spindle cool so as to control spindle and head growth. 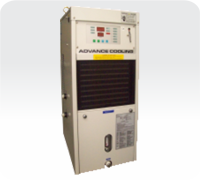 These chillers are very essential component of spindles as they add life to the spindle and they are typically used in long cycles or high duty cycles. 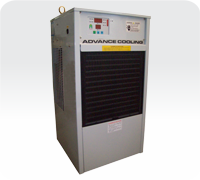 Advance Cooling has introduced new range of spindle chillers which have a compact footprint and pleasing aesthetics and looks.